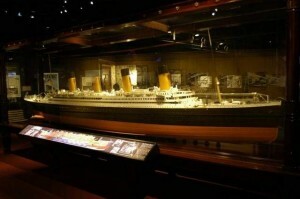 The world’s only full scale Titanic replica is going on display at Moore Boathouse in St. Clair. This replica, which weighs 1,500 pounds and 10,000 pounds in its case, was on display last year at the National Geographic Museum in Washington, D.C. For its builder, Gart Kohs, it is a work of love and exactitude. He worked on the model from 1999-2004 out of his own pocket and even traveled to Harland & Wolff in Belfast, N.I. to review the original drawings. The St. Clair exhibit is to benefit an agency that awards grants for elementary school programs, scholarships, and public park improvements. For exhibit information, time and dates, and admission fees, go to stclairfoundation.org.